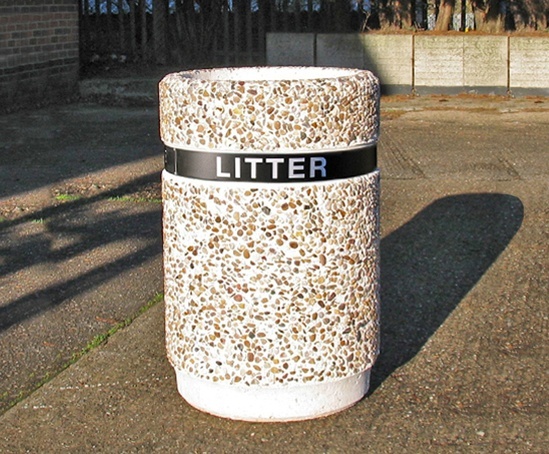 The Dover concrete bin is a freestanding litter bin which is most often selected for areas where vandalism is a recurring problem - the exposed aggregate concrete is difficult to deface and weighing over 150kg, is not easily moved or tipped over. 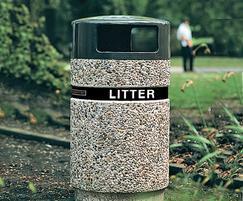 The Dover litter bin is available in a natural round or ballidon exposed aggregate finish, and can be supplied with a GRP lid either brown or black colour. The bin comes complete with ‘LITTER’ banding but is available without this upon request.